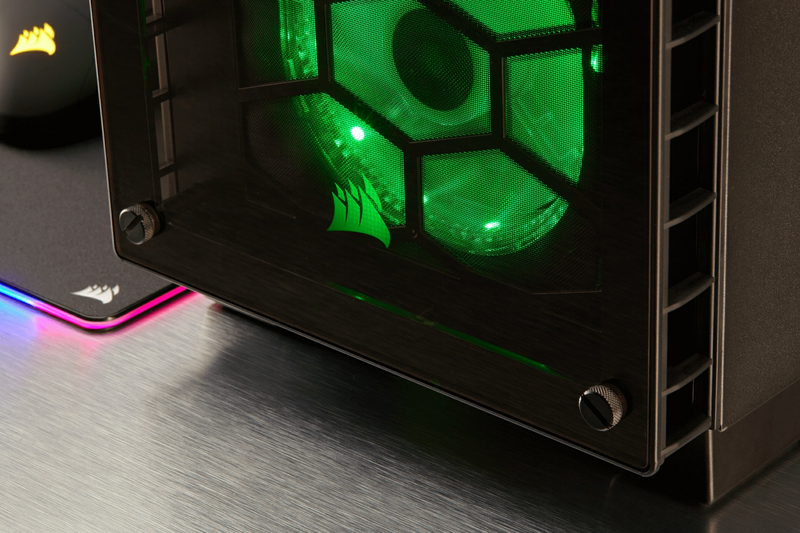 Built into the chassis are three striking SP120 RGB fans. 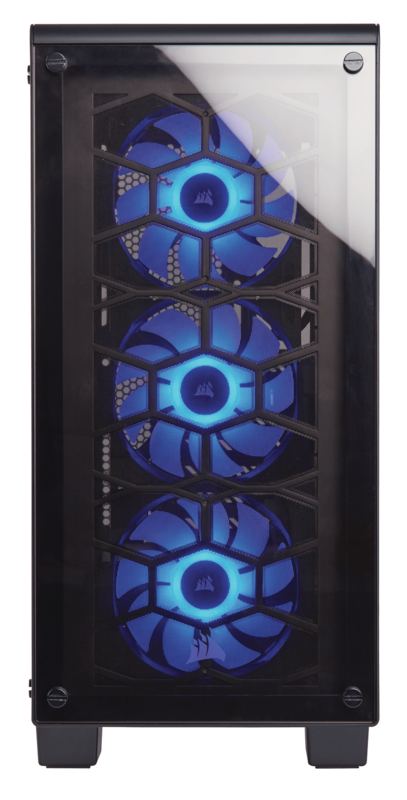 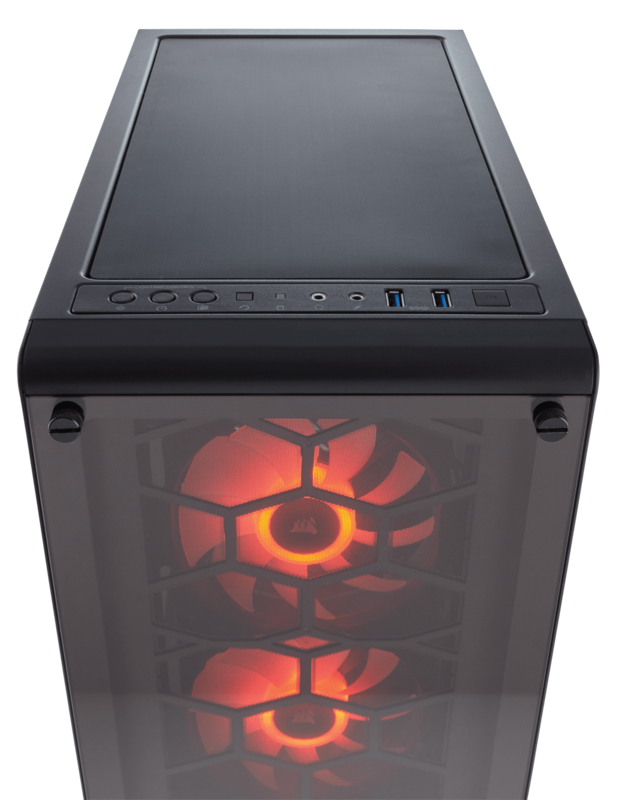 Make your build stand out from the crowd by coordinating the custom-molded translucent blades with your build for a sleek, brilliant look -- all visible through the tempered glass panels. 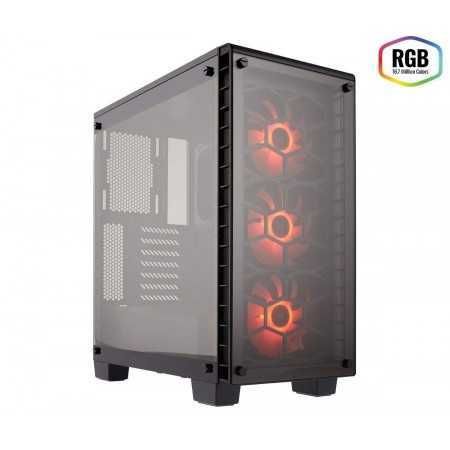 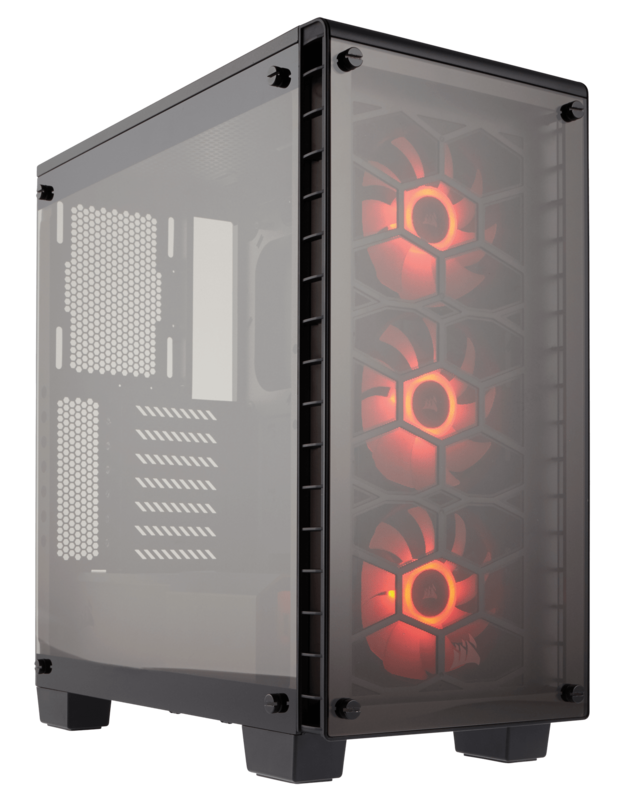 Get rid of those plastic cases – the 460X has full steel front and top panels for extra durability and gorgeous good looks. 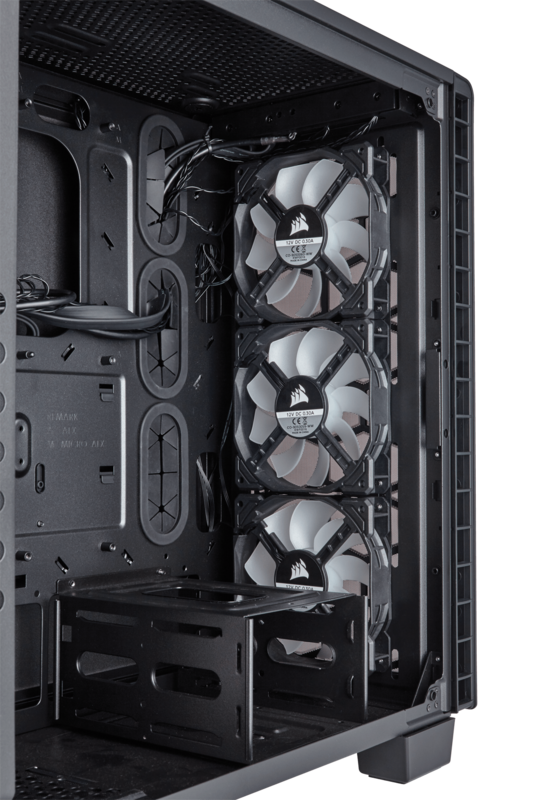 Don’t let the compact dimensions of the 460X fool you - it can house a full ATX motherboard and multiple GPUs. 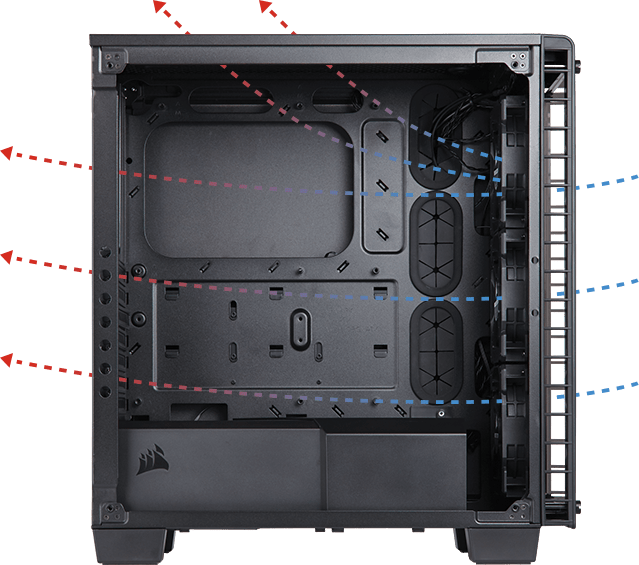 Clean up the inside of your case by placing cables and drives behind two modular, clean, and refined PSU and 3.5” bay covers. 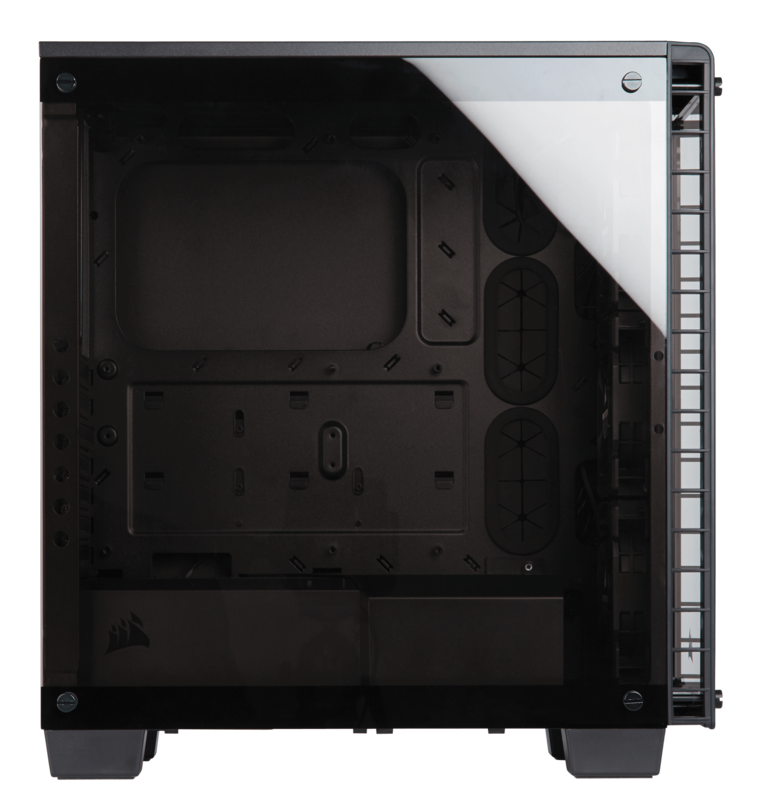 With tool-free drive installation and three-point dust filter access, the CORSAIR Crystal 460X is easy to build — and even easier to keep clean. 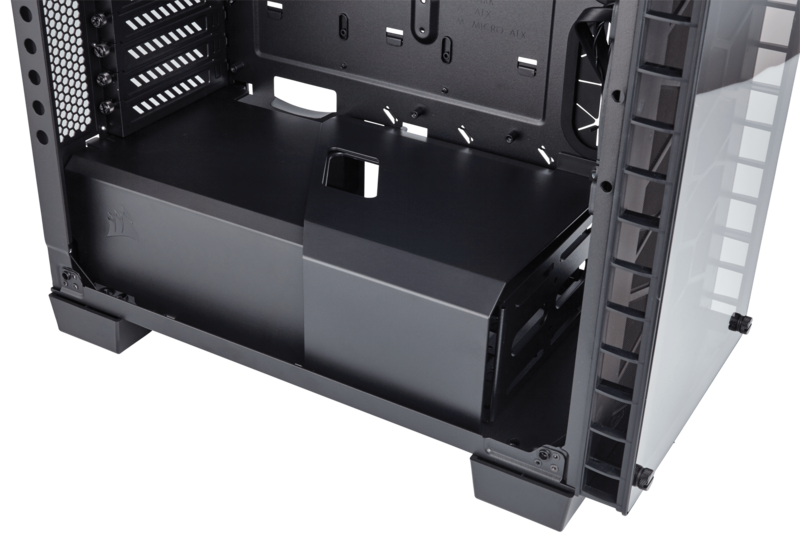 You’ll spend less time on setup and maintenance, and more time enjoying your PC.